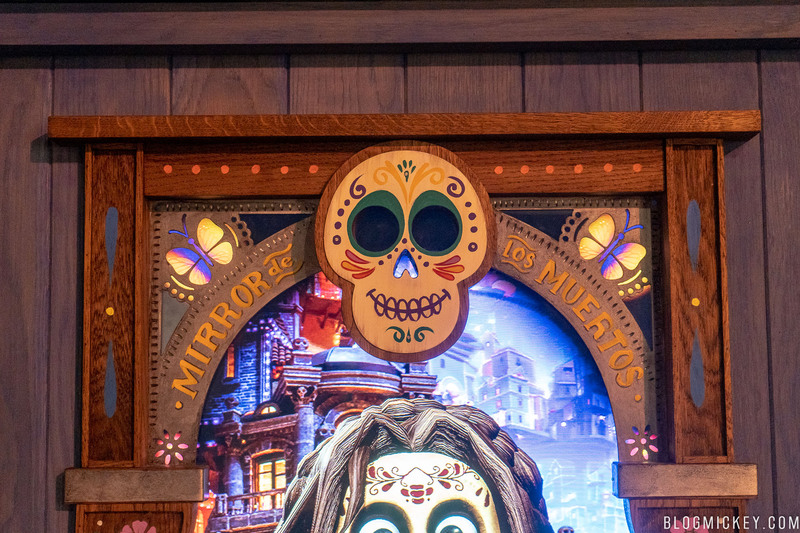 The Mirror De Los Muertos is finally open inside the Mexico pavilion at Epcot. 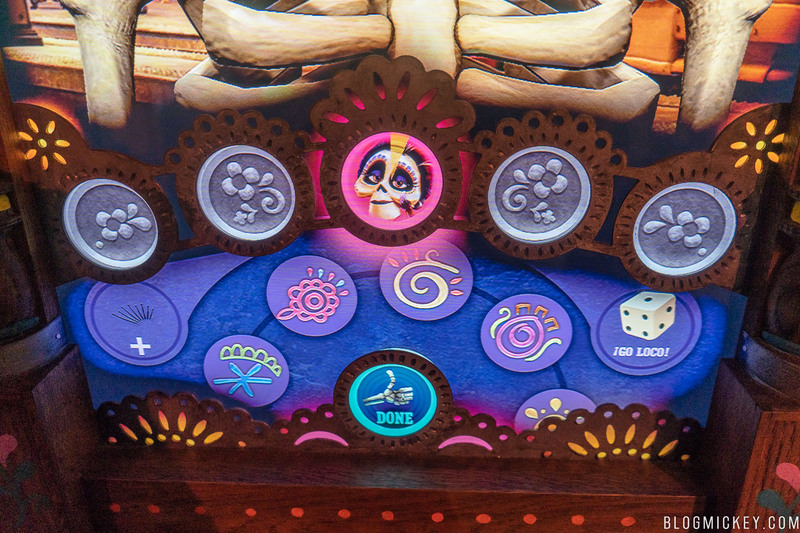 The interactive mirror allows you to customize a skeleton to transport yourself to the Land of the Dead as seen in the Pixar movie Coco. 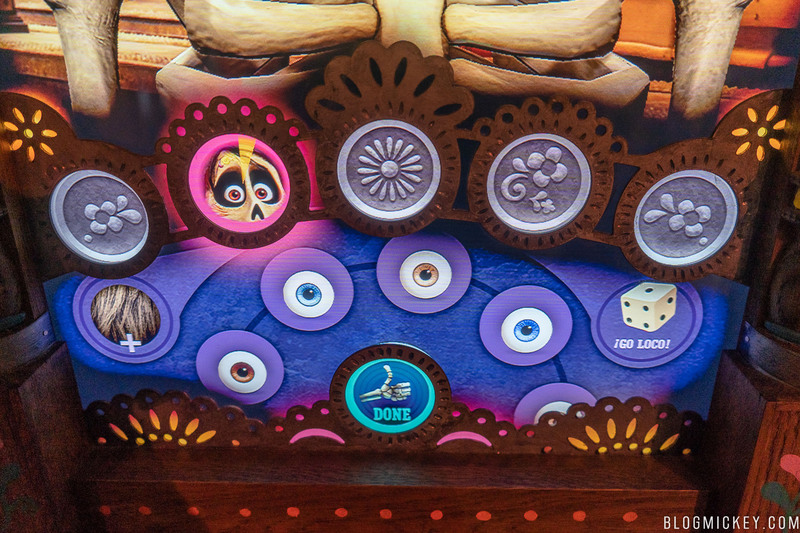 A tap of your MagicBand starts your journey away from the living world and into the Land of the Dead. 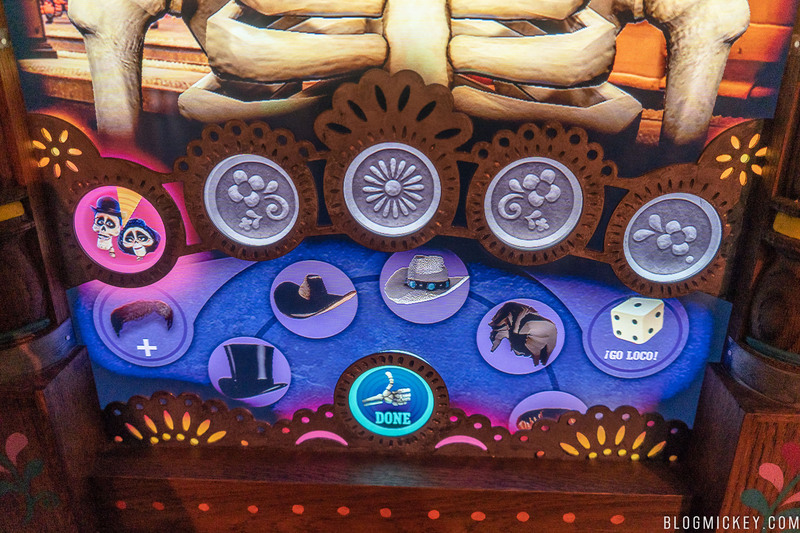 Hector pops up on the screen briefly before you’re given five different categories of which there are a variety of selections to customize your skeleton. 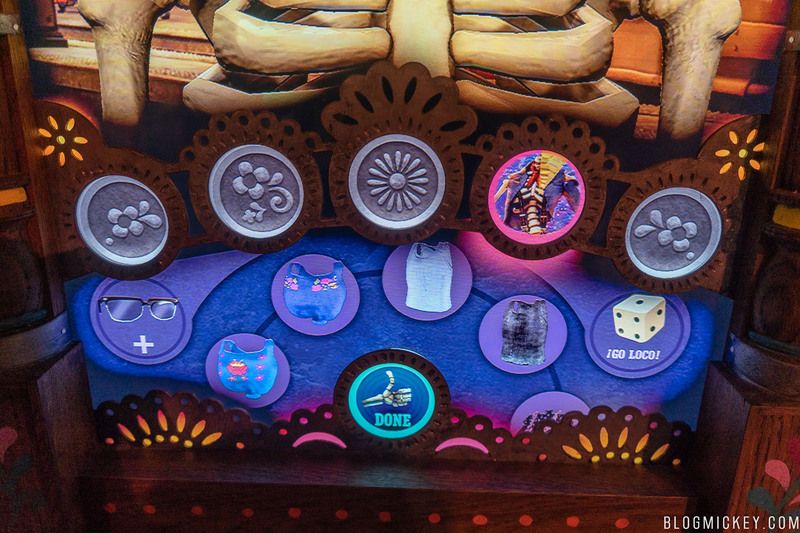 When you’re done customizing, there is a brief photo shoot where three photos are taken of you as your skeleton. 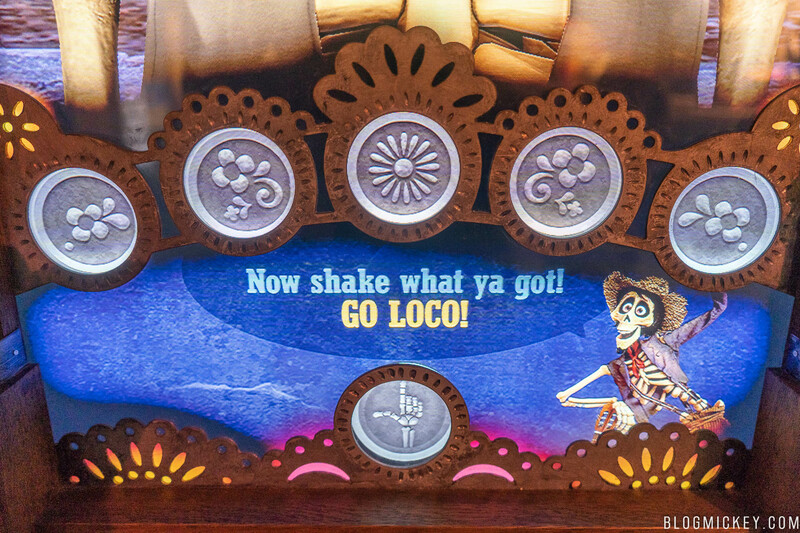 You’re encouraged to make different poses as you “go loco”, but our skeleton didn’t react to any of our movements. 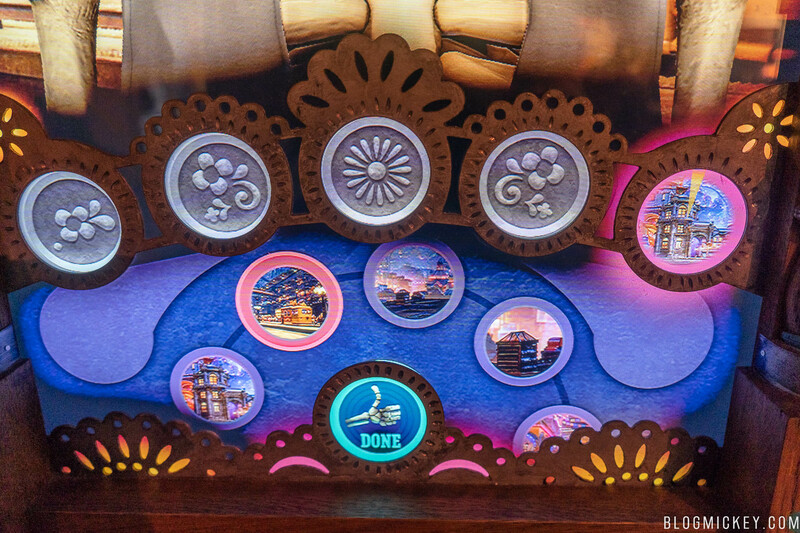 We didn’t see any other guests having any luck with this feature either. 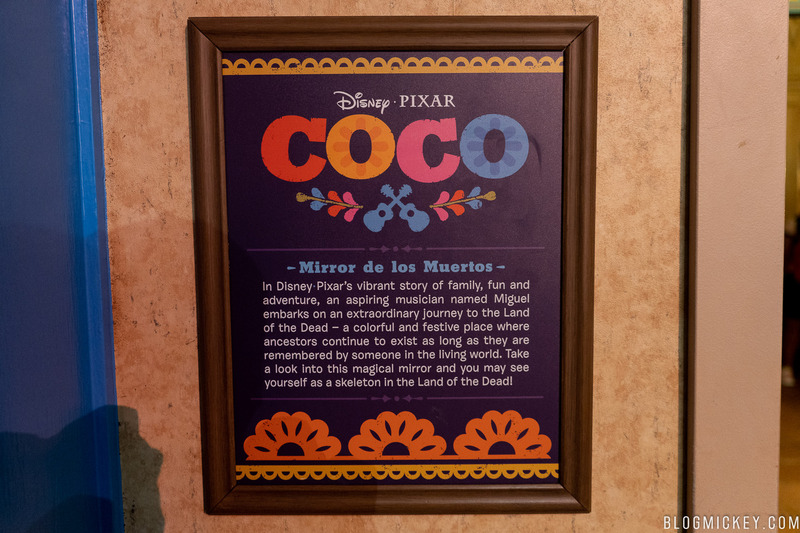 The three photos are displayed and then linked to your My Disney Experience account, available for download via the My Disney Experience app or website. 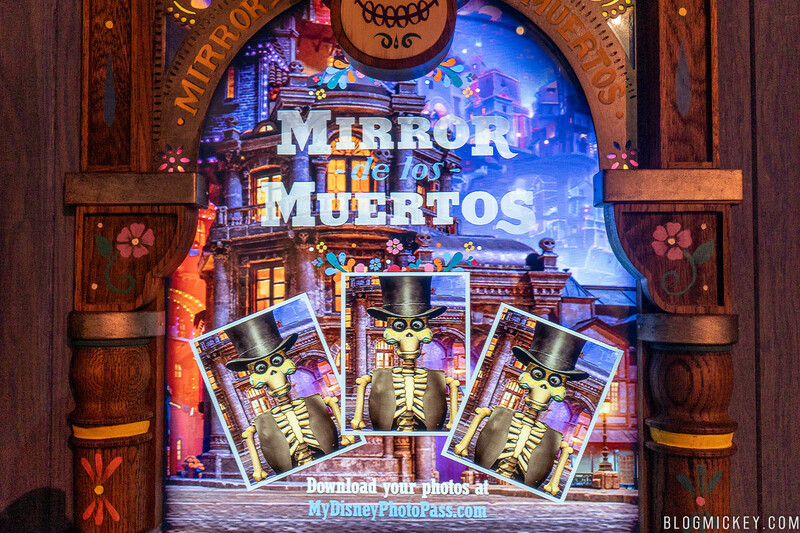 The Mirror de los Muertos is a fun way to kill some time on your World Showcase travels and proved to be somewhat popular when we visited this past Saturday. 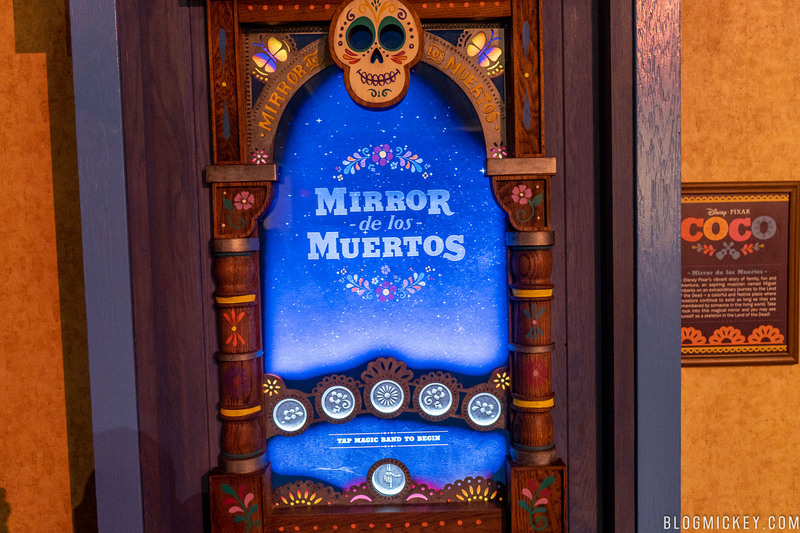 The Mirror de los Muertos was first spotted when the ‘Remember Me!’ La Celebración del Día de Muertos Exhibit was installed back in September 2017, but it just came online within the past few weeks.